WAR CRY TEARS commemorates the 12th Anniversary of the War in Iraq, an event that set in motion an ever-changing landscape in the Middle East, with deep ramifications on the Individual Armed Forces that served from the United States. Bringing together stunning artistic groups that have grappled with and investigated the heartbreaks and affects of war - those waged both at home and abroad - Artistic Director Krissy Keefer weaves the work of Dance Brigade, with the spoken word of Climbing PoeTree, the text of Aaron Loeb’s new play The Proud, the visual art of Stephen Funk’s Veteran Artists, the music of Christelle Durand and Gina Breedlove, the raw street dance and poetry of Nicole Klaymoon’s Embodiment Project, and much more! TWO DAYS ONLY during Women's History Month! General Admission: Pay-What-You-Can!! Accessible art! Check out this video featuring Climbing PoeTree. Watch a preview of The Proud. Listen to the music of Gina Breedlove. The war goes on and on - and so do we! The audience is welcome to attend all or parts of the program. Please note that schedule below is approximate and subject to change without notice. 7pm: Excerpts from Aaron Loeb's play, The Proud,* examining at the (mis)treatment of women in the military: Featuring Stacy Ross,** Lucas Near-Verbrugghe,** and Dance Brigade. 8:15pm: Defection, Deflection, Devotion: Featuring Delvis Savigne, Adonis Damian, and Jose Carlos Alarcon. Choreography by Krissy Keefer. 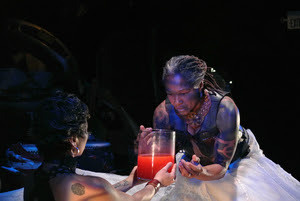 8:30pm: Embodiment Project's Chalk Outlines with MoonCandy. 9:20pm: Compañer@s with Climbing PoeTree, Dance Brigade, former members of Cuba's Danza del Caribe, and Christelle Durand of CocoMama. 9:30pm: Excerpts from Dance Brigade's 2014 extended-run, sold-out show, Hemorrhage. 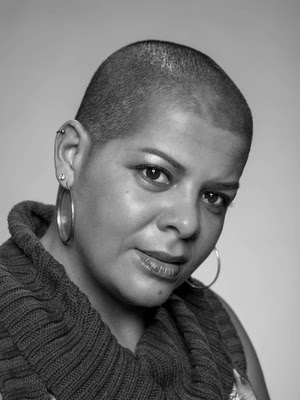 2:15pm: Excerpts from Aaron Loeb's play, The Proud,* examining the (mis)treatment of women in the military: Featuring Stacy Ross,** Lucas Near-Verbrugghe,** and Dance Brigade. 3:30pm: Defection, Deflection, Devotion: Featuring Delvis Savigne, Adonis Damian, and Jose Carlos Alarcon. Choreography by Krissy Keefer. 3:45pm: Embodiment Project's Chalk Outlines with MoonCandy. 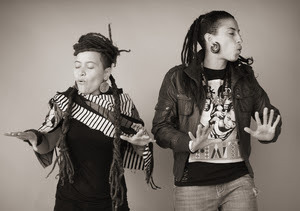 4:40pm: Compañer@s with Climbing PoeTree, Dance Brigade, former members of Cuba's Danza del Caribe, and Christelle Durand of CocoMama. 4:50pm: Gina Breedlove, Megan Lowe, and Leila Baradaran and Grrrl Brigade. 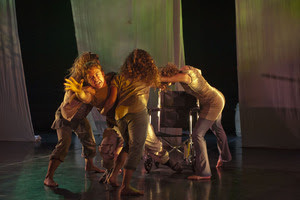 5:15pm: Excerpts from Dance Brigade's 2014 extended-run, sold-out show, Hemorrhage. In addition to performances, there will be an art installation curated by Stephen Funk of Veteran Artists. * The Proud is a Stage Reading and an Equity-approved project. ** Appears courtesy of Actors' Equity Association. Funded in part by the San Francisco Arts Commission and Grants for the Arts / SF Hotel Tax Fund.